Successful remodeling favors a well planned project! There are many reasons to consider remodeling a Tahoe Donner home and one of the first steps to take is to identify exactly why a remodel is needed; Sharp Team REALTOR® Anna Kennerley (530-412-4101) can help guide you through the process. 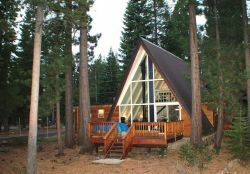 Is your primary purpose to enhance the Tahoe Donner homes value as a family retreat or for a resale? Remodeling Online, the web site of Remodeling Magazine charts payback returns for major projects from data aggregated by HomeTech Information Systems, a remodeling estimating software company that collects current cost information on a quarterly basis from a nationwide base of home remodeling contractors. Costs and payback when selling vary significantly over time and in different regions of the country. However “mountain” homes like we have in Tahoe Donner are not included, your local TDHomes Group REALTOR® is your best resource for information. If you plan on living in the Tahoe Donner home and your purpose of the remodel is to enhance your living environment, then you will probably want to do more, and spend more, than you would to enhance its’ value for resale. If you buy a “fixer” intending to remodel and sell it for a profit then you would want keep the costs down, especially since the price of “fix ers” in the Truckee area are normally higher priced due to demand from local contractors and REALTORS® who acquire them for their own projects. Do we need a major remodel? Is our family growing and space short, do we need to expand with an addition? If we need to expand what will be involved? Is our lot large enough to accommodate expansion and still observe the set-backs required by the town? Will the design of our home accommodate an addition? How do we design the addition to fit the environment and neighborhood? Will the neighborhood support the added value? Or do we need a cosmetic remodel? Is our home dated or worn, in need of carpet and paint, and perhaps cabinets and fixtures? And what public Truckee agencies and Tahoe Donner entities need to approve our plans, what tests and upgrades to code does our existing home need, do we have a homeowners association and do they have an approval process? Do these organizations have to approve of interior as well as exterior remodels? Who will do the work – will we need to obtain the services of an architect and engineer, a designer, and a contractor? Can we use architects, designers, and contractors from the Bay Area who are knowledgeable about home design and construction in their Mediterranean climate? Or should we use local Truckee and Tahoe Donner professionals and craft people who understand snow country living and construction; like the importance of the homes orientation to the sun, well designed roof lines, the need for structural integrity and ease of driveway slopes, and our “mountain” decors that are so popular? Any remodeling you do will ultimately affect the sale of your home. 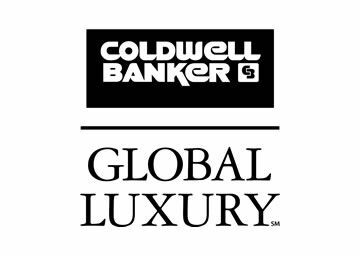 If it is well designed for the Tahoe Donner area and implemented by competent crafts people you will likely receive a higher price in a shorter time; if it is not well designed or implemented you will receive a lower price and the home will take longer to sell. Be cautious in getting too much of yourself in the design. This is very hard to do; we all have ideas about our “ideal” home design – but if they are too personal and don’t fit the “mountain” or Tahoe Donner style that many buyers look for in a second home, then the size of your ‘buyer pool” will be significantly reduced. A Tahoe Donner SM home was constructed several years ago and placed on the market. It was a beautiful, well constructed home and would probably have sold quickly had it been in Monterey over-looking the Pacific Ocean – but it was not designed for its Tahoe Donner mountain setting and it remained on the market for a long time. Look for ideas in the homes of your friends and neighbors, tour open houses, visit design centers and building shows, and talk to professionals to see what is in-and-out of style. Try to determine whether a certain style will stand the test of time or merely be a passing fad. Homeowners in the 70’s thought avocado appliances and gold carpet was just the thing – thankfully that didn’t last long! Granite counter tops in kitchens are much in demand now, but if you read a Kitchen Trends design magazine you will see a lot of metal and concrete used – ask yourself if these materials will replace granite in your outdoor oriented Tahoe Donner SM home? Recent trends have seen granite replace river rock for hearths, hardwood replace laminate flooring, and gas stoves and inserts replacing woodstoves and inserts. An excellent resource is the Truckee Home & Building Show and the concurrent Regional Green Building Symposium at the Truckee High School generally held on Memorial Day weekend. These events are sponsored by the Sierra Pacific Power Company and the Truckee Donner Public Utility District. Schedules and events may be seen at the annual Truckee Home Show conducted in May. For information call the Truckee Chamber of Commerce (530) 587-3477. Keep in mind the most expensive items you see may not be the best to buy. Truckee’s construction standards also change. In the 70’s it was thought that roofs should be covered with wood shingles, then in the 80’s thinking changed and it would be good if the snow didn’t remain on the roofs - so metal roofs became popular; then the 90’s brought the realization that snow sliding off the roof piles up, often covering windows to create a dark cave-like, interior, while destroying decks and railings and limiting access to the home and garage. It was realized that snow was a good insulator and, if allowed to remain on the roof, would help keep the interior warm. Advances in composition roofing materials made our modern roofing possible. There are features you can incorporate that will add to the value and enjoyment of a remodel but not add significant cost. Think green – what can be done to add value to what you are doing without adding significant cost – and what will save energy? Things like using Low-E glass on the south and west facing windows during window replacement, installing energy efficient appliances, and instead of buying a new wood stove replace the old one with gas. Are you going to build or replace a deck of the Tahoe Donner home? Look at the topography of your lot; is it relatively flat so you can install a paving stone patio rather than building a wooden deck? If so you will save a lot in future maintenance costs and, if it is in a spot where snow from the roof will slide onto that area, you won’t have to worry about replacing the railings. And be prepared for delays and increased costs even in the best of times! No one knows what really lies behind the wallboard until it’s removed. Weather, work schedules, and material deliveries can all have a significant impact on time and finances. If you want to remodel then we can make it easier to do that! You need to talk to the “experts” – those who have experienced their own projects, who have good knowledge of the unique environmental challenges presented by our mountain setting, an understanding of the ability and reliability of local architects, designers, contractors and suppliers, and expert knowledge of our local real estate market. Done right the remodeling of a home in Tahoe Donner can be very rewarding! The REALTOR® members of The TDHomes Group have all had personal experience in Truckee and Tahoe Donner with major remodeling projects and the construction of new homes both for themselves and for clients. They have worked extensively with local contractors and suppliers and can recommend those to use and those to avoid. The North Woods Group of REALTOR® will provide you with valuable assistance before and during your remodel or construction project.